James Maddison netted a last-minute winner against Rangers earlier this season. 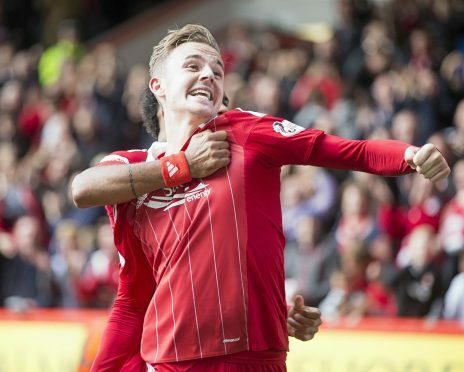 Aberdeen have won their appeal against the yellow card James Maddison received for simulation during Saturday’s 3-1 victory against Inverness Caley Thistle. Referee Kevin Clancy booked the on-loan Norwich City player following a challenge by Caley Thistle defender Gary Warren. Aberdeen manager Derek McInnes felt replays of the incident confirmed the Englishman was fouled. The Dons confirmed this morning the yellow card shown to Maddison has been rescinded. Earlier this season, Hearts successfully appealed a yellow card shown to forward Tony Watt who was booked for simulation in September’s 3-1 win against Hamilton Accies.